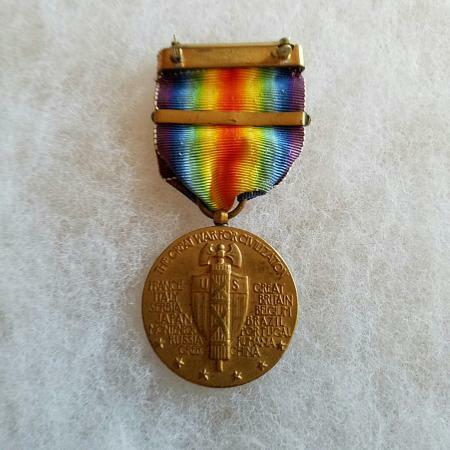 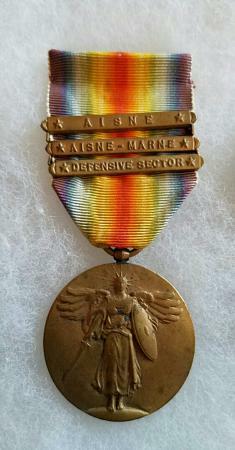 US Soldiers received World War I Victory Medals. 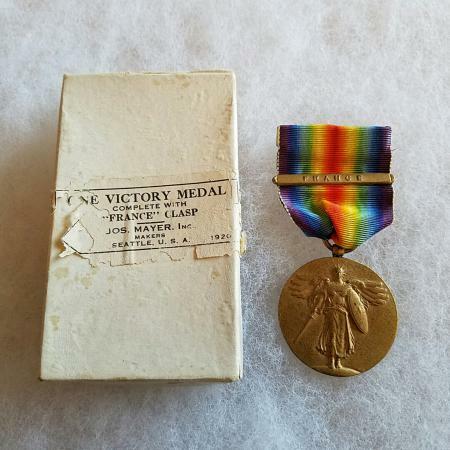 Some were eligible to wear clasps on the ribbon. 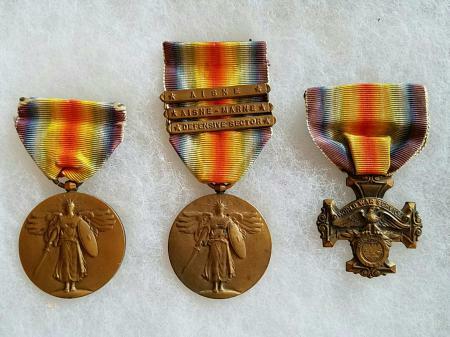 These clasps denoted that the soldier participated in a particular campaign or was in a certain sector.